Clemson Girl: McAuley’s Boutique – Gorgeous orange and purple for Clemson gamedays! McAuley’s Boutique – Gorgeous orange and purple for Clemson gamedays! Are you still struggling to figure out what to wear this weekend to the Clemson vs. TCU game? What about the rest of the Clemson home games? There’s still plenty of time to find the perfect gameday outfit – if you haven’t already, you need to check out McAuley’s Boutique – located right in the heart of Anderson (click here for a map). Don’t live in the upstate? That’s ok..because McAuley’s has an awesome Web site, complete with a Clemson colors section! 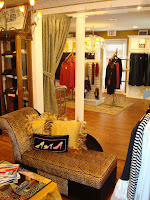 McAuley’s Boutique opened in 2003 as Anderson’s first high end full service women’s boutique. Owner Missy Boggs was exposed to fashion from a very young age. She was constantly inspired growing up by her aunt who did runway shows for Calvin Klein. McAuley’s Boutique carries gorgeous clothes and accessories from a variety of designers: Nubra, Spanx, Yummie Tummie (slimming tank tops), Dance in Paris, Citizens of Humanity, True Religion, 7 For All Mankind, Trina Turk, Nanette Lepore, Nicole Miller, Michael Stars, Free People, French Connection, Bailey 44, and more. The diversity of lines enables McAuley’s Boutique to outfit ladies of every age and style! McAuley’s carries a bunch of really stylish Clemson apparel – and they are constantly adding more and more new items. You can keep up with all of their newest Clemson styles by becoming a fan of their Facebook page – and check out their Clemson outfits album. There were so many styles to choose from to share with you – so what I’ve posted below is just a small sample of all of the great outfits they carry! Dresses – Look at all of these awesome dresses that McAuley’s Boutique sells. I love how each dress has really great accessories, belts, and shoes added to create a complete outfit. I think my favorite is probably the orange dress with the brown boots and gold belt. I also really like the purple, tiger stripe dress..paired with the orange scarf. So cute! Which one is your favorite out of these? The long sleeve dresses would be super cute with knee high boots and scarves. And guess what? This is just a small sample of all the gameday dresses they carry. They have so many more great dresses, including really cute orange maxi dresses that would be great for the cooler games. Cardigans, wraps, shrugs, sweaters – As we get closer to the October home games which are towards the end of the month, obviously wearing a sun dress isn’t going to work. But you can still wear your cute dresses if you pair them with a great cardigan, wrap, or shrug. Check out some of the great purple and orange wraps to wear with your gameday outfits – use a belt to define your waist. I love the purple one with the bow in the front below! Gameday tops – McAuley’s has a great selection of stylish and chic tops that paired with a cute pair of jeans would be perfect for gameday. Are you really surprised that I’m in love with this one shoulder orange top? Must have it! McAuley’s Boutique will dress you for any event – whether it’s gameday, sorority functions, or even pageants. They also have a registry for certain outfits, so you can register an outfit to ensure no one else will be wearing your dress! They also offer private home shopping parties. 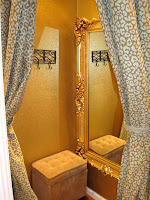 Those interested in hosting a party can e-mail Kelin from McAuley’s Boutique. The host and shoppers all get 10% off purchases made at the party! And, McAuley’s Boutique gives shoppers special discounts during their birthday months – so don’t be afraid to share your birthday date with McAuley’s! 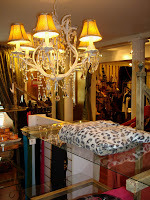 Are you loving McAuley’s Boutique yet? You need to visit their Facebook page and become a fan - new fans get a $10 gift certificate if they just post on the wall and let them know you just became a fan. And if that’s not enough…anyone who comments anywhere on the Facebook page between now and October 19th will automatically be entered in a drawing to win a $200 shopping spree!! The drawing will be held October 20th. Special Offer just for ClemsonGirl.com readers!! Customers can get 10% off at their time of purchase by mentioning ClemsonGirl.com. McAuley’s Clemson cozies are also given out with all purchases while supplies last. Thanks McAuley’s Boutique!! McAuley’s Boutique has such a great selection of all things orange, purple, and white…perfect apparel and accessories for a complete gameday look. Love it! If you have any questions for McAuley’s Boutique, you can contact them at 864-226-7773. And I love that you don’t have to live in the upstate to shop the boutique… visit them online and do some virtual shopping on their Web site, www.shopmcauleys.com. If you get your gameday outfit at McAuley’s, email us photos of you wearing it so we can share it on the blog!